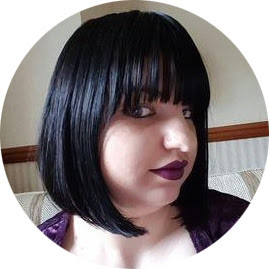 You might remember that last month i brought you the last (and first edition) of my monthly beauty round-up. Well time has flown by so i come bearing January's edition. So for Christmas i got some money from my family and decided to splash out and do an order over at lush.co.uk. The service was really quick and super great. I love the fact they packed my tiny order into a giant box with lots of packing peanuts. 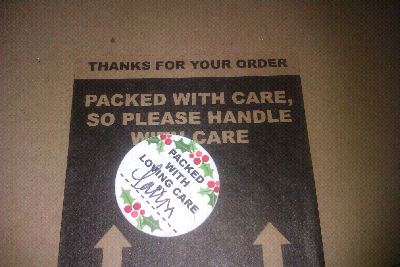 I also love the fact they stick cute little stickers on the box telling you who packed up my order. I just love this extra personal touch. Thank you Laura for packing my Order! The first thing I ordered was a pot of Hair Doctor. When I was 13 I had a bad experience with a hairdressers, they left bleach on my hair for too long and it burnt my scalp leaving me with nasty oozing sores on my scalp. They literally chemically burned my scalp and damaged my hair. Since then I have gotten flares of cirrhosis of scalp. I don't get it all the time but it can sometimes get pretty bad. I treat this with Ph neautral shampoo but this looked promising so I thought I would give it a go. 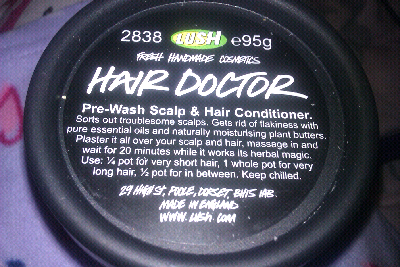 It cost me £6.50/95g and this pot gave me three applications worth as I have super short hair. 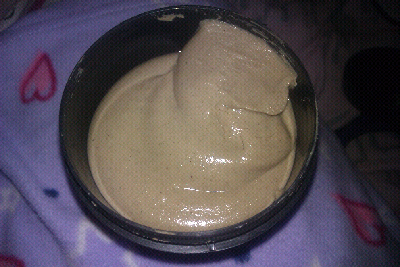 This is what they say about Hair Doctor: "Based on seaweeds and mud, this product is for out of sorts hair.To make this we first simmer irish moss seaweed to form a clear gel, then we add Irish moss powder, extra virgin coconut oil, lanolin, almond oil, vegetable glycerine, soya lecithin and brewer's yeast – all to condition, strengthen and mositurise the hair. To improve shine we include red henna and rosemary absolute.For the scalp we put in fullers earth to absorb grease and give a deep down clean to the skin, and peppermint to stimulate the blood flow. With all these together, your hair will feel its old self again very soon. Give Hair Doctor a go – you’ll love his bedside manner." Here it is. It doesn't look too pretty does it? Hair Doctor has a paste-like consistency and is pretty thick and hard to work into the scalp of the hair and is a little bit too gritty for my liking. It has quite a mild scent but it is unpleasing on the nose. I found that it did make my hair feel more cleansed and it seem to 'cool' my scalp. To be fair to the product I haven't had any more 'flare-ups' since using the product but I cannot tell if that is BECAUSE of using Hair Doctor. FINAL VERDICT: Nice stuff and I would use this product again although for the price and the amount you get I probably won't be ordering again as i can tell that much of a difference. "We invented this mask for younger skins and for those who are new to face masks and want to use something that’s cheerful and cheeky but still effective and good at its job. The lighthearted side of this mask has cocoa powder, vanilla absolute and spearmint oil - because we wanted this to bring all the comfort of a chocolate bar. Well, a chocolate bar that doesn’t cause spots, of course!" The first thing to say about this product is that it smells STRONGLY of Chocolate and Mint. To start with I didn't really like the smell and the idea of putting this on my face was a bit unappealing. However I am glad I did. As soon as you put it on the smell mellows to give you a subtle minty smell which is actually very nice. This pot is great and you can probably get about 6 applications out of it! 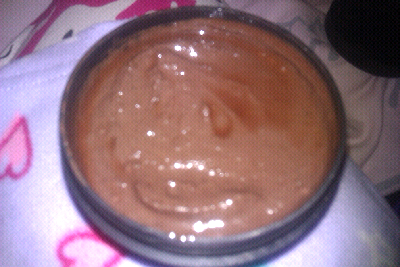 Again it is kinda paste-like but you want this for a face mask. I found that it did clean my skin making it feel less oily and nice and soft. I don't know how well it works against the prevention of spots but it does seem to work well on oily skin. FINAL VERDICT: Don't be put off by the super strong smell this product works great and I would like to try some of the other face masks in this range. "A warming work out for tired knotted muscles and aching shoulders.Cocoa butter, shea butter, extra virgin coconut oil and organic jojoba oil are the base of this bar and give a lovely glide on the skin. But their main role is to carry and hold onto the skin the lovely blend of warming essential oils. Including cinnamon oil to warm the skin and peppermint to get the blood flowing. Whilst the oils sink in to the skin and start to give a relaxing warming sensation, we’ve also added aduki beans that can work and knead into the tired tissues and start to smooth out those knots. Melt plenty of the bar onto the skin, then use the knobbly side to give your muscles a good working over as the warming oils soak in." I love this product so much the oils used in this are prefect and smell wonderful and the aduki beans work really well to massage an aching back. The best thing about this soap is when you have a hot stream of water too, the oils work well on your body to help comfort aching muscles. FINAL VERDICT: I love this stuff i will be going back for more! 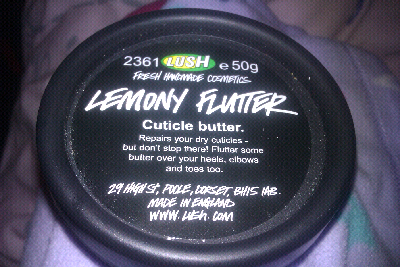 And Lastly the one every nail blogger needs Lemony Flutter Cuticle Butter. This a little on the expensive at £5.95/50g however the amount you need is so little it is totally worth it. "We have put almost every oil and butter from our store cupboard into this little pot, making the softest thickest cream we could to make sure those stubborn bits surrender. Check out the ingredients list, because there are too many to fit into this little write-up! To make you feel good about having nasty dry bits, we’ve put a zingy uplifting lemon fragrance in this, which leaves you unable to stop sniffing yourself. When you run out of dry bits to treat, you’ll be looking for excuses to keep using this beautiful cream. This cream is made to a very old-fashioned, traditional formula. 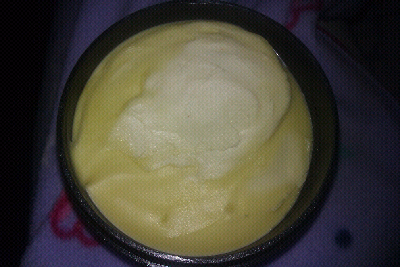 It is a beeswax emulsion and uses thick oils and butters and very little water all skillfully put together. It is the lost art of traditional cream making – and we think it gives a high quality cream that makes the oils easily available for the skin to take up. Sometimes it is wise to take lessons from history." The name is spot on for this product, it melts into your hands like butter, I have had this product for a month now and I have still got practically a full pot left. With the horrible British cold my hands have gotton pretty chapped but this is really soothing and makes my fingers and cuticles really soft. I find this is oily so don't use it during the day (or with matte nail varnish!) but it is perfect. Again this has a super strong lemony smell which I don't mind as it keeps me thinking of fresh summer days but for some it may be a little too much. FINAL VERDICT: I have been using this everyday and I love it when i run out (not for a while) I will be straight out to get another pot of this. Fantastic! 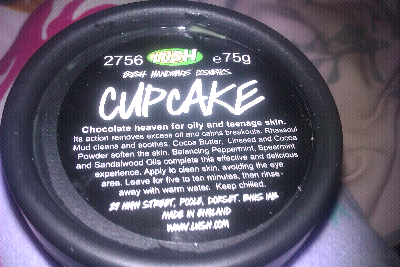 In all i love LUSH and this is an excellent sample of some of the wonderful things on offer. Also once you have 5 empty pots you can take them in and exchange them for a pot of facemask! Bonus. I would fully recommend trying their products? Have uyou used these products? What did you think? Have you tried LUSH before? I would love to hear what you have to say about these products. I use the cupcake facemask too! I've always had quite oily/blemished skin and I find it helps quite a bit, though I've only used it a few times. I really like to put it on before I go out on a saturday night to help my skin stay oil free under my foundation. I love the wiccy massage bar but my hands are always so warm I find it melts way too fast for me, so I can only really rub the massage bar on, I can't really use the seeds for the actual massage. 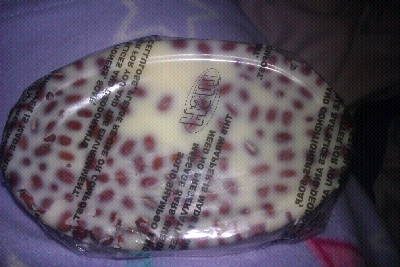 I have that Wiccy massage bar and I love it. There are some winter bath bombs that have the same kind of effect but are only available at Christmas time! to use of Soya Lecithin in beauty product. It is new experience for me.